DAVIE, Fla. (October 29, 2018) – Dental Fix Rx, a fast-growing mobile dental equipment repair service franchise and a subsidiary of Dental Whale, will meet with fellow franchisors and franchisees alike during the IFA’s Emerging Franchisor Conference, Nov. 7-9, at the Hilton Miami Downtown. Scott Mortier, chief development officer of Dental Whale, is a featured guest speaker during this event designed to help developing franchise brands grow. 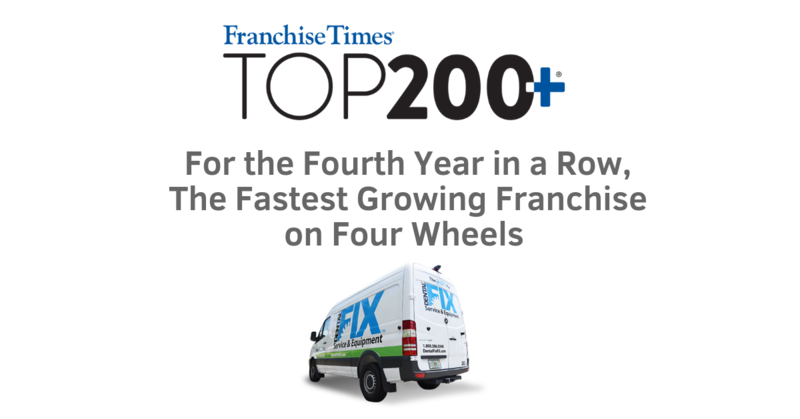 A rapidly-growing franchise, Dental Fix Rx is capitalizing on increasing demand and revolutionizing the dental service industry by delivering immediate, on-demand equipment service, handpiece repairs and cost-effective consumable products to more than 53,000 dental customers. Dental Fix Rx’s network of highly-trained franchise professionals spans more than 200 territories throughout North America, offering clients timely, customized services that produce fast, efficient and high-quality repairs. Dental Fix Rx, the only U.S. franchise that truly serves the $38-billion dental equipment repair sector, expects to award another 40 territories before year end and anticipates all U.S. territories to be sold within the next two years. Dental Fix Rx is a subsidiary of Dental Whale, a company offering private dentists a range of services and support, and which collectively engages more than 17,000 customers/dentists all over the country and generates more than 5,000 customer leads annually. Mortier, whose expertise includes innovative approaches to driving growth and unique digital lead generation strategies in the franchising space, will speak on the topic, “Digital Marketing: Driving Customer Acquisition by Leveraging the Latest Trends, Tools and Technologies,” at 8 a.m. on Nov. 7. To register for the IFA Emerging Franchisor Conference, visit https://www.franchise.org/efc.